One area that most people overlook for signs of aging is the hands. At Serrão Rejuvenation Center, Dr. John Serrão – a board certified gynecologist and post-graduate trained cosmetic surgeon – offers hand rejuvenation for women in Orlando, Winter Park, and the surrounding areas of Florida. Hand rejuvenation is a non-surgical treatment that adds volume to the skin on your hands to help them look younger. We may also recommend skin resurfacing treatments. Serrão Rejuvenation Center is one of the few practices that offer comprehensive hand rejuvenation treatments. You may be able to find practitioners who offer dermal fillers for the hands, but this does not help with age spots and other problems on the surface of the skin. Our approach provides a comprehensive remedy for aged hands. Dr. Serrão enjoys talking to his patients about hand rejuvenation. Many do not consider the hands when they are learning about the types of procedures that are available at our practice. Dr. Serrão and his team are experienced in hand rejuvenation treatments, and our patients love showing off the results. (Fat Transfer) Re-injects your own natural fatty tissue into your hands to add volume, cover vessels and tendons and improve the quality of your skin over time. Fillers Fillers, such as Radiesse, can be used to add volume to your hands and fill in around protruding veins and bones. Chemical Peels A medical solution is applied to your hands to reduce age spots, fine wrinkles, skin discoloration and sun damage. Photodynamic Therapy (PDT) A solution is applied to your hands to remove sun damage and age spots before applying the light source for a more aggressive treatment. 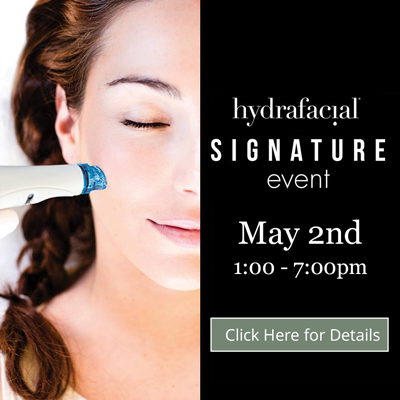 Laser Resurfacing A laser-based energy resurfaces the upper layer of damaged skin. As your skin heals, your hands will appear healthier and younger. Medical Grade Skin Care Skin care products designed to improve the overall appearance and texture of your hands. 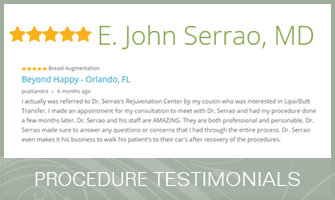 At Serrão Rejuvenation Center, Dr. John Serrão offers hand rejuvenation for women in Orlando, Winter Park, and the surrounding areas of Florida. To learn more, contact us to schedule a consultation and begin your rejuvenation today with Dr. Serrão, a board certified gynecologist and post-graduate trained cosmetic surgeon. (Fat Transfer) – Re-injects your own natural fatty tissue into your hands to add volume, cover vessels and tendons and improve the quality of your skin over time. Fillers – Fillers, such as Radiesse, can be used to add volume to your hands and fill in around protruding veins and bones. Chemical Peels – A medical solution is applied to your hands to reduce age spots, fine wrinkles, skin discoloration and sun damage. Photodynamic Therapy (PDT) – A solution is applied to your hands to remove sun damage and age spots before applying the light source for a more aggressive treatment. Laser Resurfacing – A laser-based energy resurfaces the upper layer of damaged skin. As your skin heals, your hands will appear healthier and younger. Medical Grade Skin Care – Skin care products designed to improve the overall appearance and texture of your hands. Learn more about hand rejuvenation. At Serrão Rejuvenation Center, Dr. John Serrão offers hand rejuvenation for women in Orlando, Winter Park, and the surrounding areas of Florida. To learn more, contact us to schedule a consultation and begin your rejuvenation today with Dr. Serrão, a board certified gynecologist and post-graduate trained cosmetic surgeon. The phrase “hand rejuvenation” refers to a set of procedures and treatments that address signs of aging on the hands, such as wrinkles, thinning skin, and dark spots. Our hand rejuvenation treatments are non-surgical, so you have no downtime, scarring, or lengthy recovery. Hand rejuvenation is performed using dermal fillers and resurfacing technologies. Dermal fillers add volume to the skin to help with prominent veins, as well as to reduce wrinkles. Skin resurfacing removes imperfections on the surface of the skin, such as age spots and other types of hyperpigmentation. How Long is the Recovery from Hand Rejuvenation? Hand rejuvenation requires no downtime. If you have a chemical peel on your hands, the skin may flake off for the first week or so. Because we offer so many hand rejuvenation procedures, we cannot discuss the cost until your consultation with Dr. Serrão. If you are interested in making payments for your hand rejuvenation, we invite you to learn about our financing options.